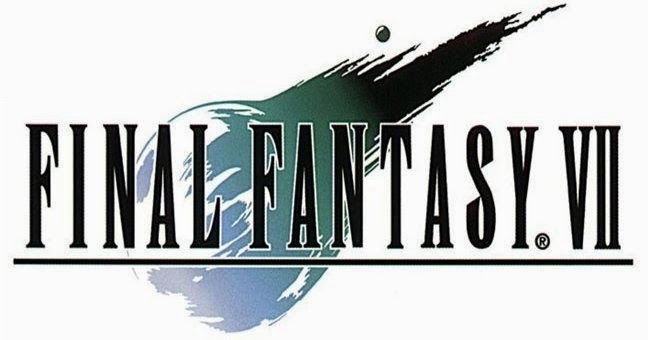 I'm currently about 8 hours into my playthrough of Final Fantasy VII and my feelings are mixed. This is the third time I've played this game, and it will be the second time I've played it all the way to the end. The last time I played was over ten years ago on the original Playstation. This time I'm playing that same version, but through the PS1 classic option on my Playstation Vita. I still have memories of all the major characters and plot points, but the nitty gritty details are slowly coming back to me as I play. My first reaction with the intro sequence was, "Wow! Here we go!" 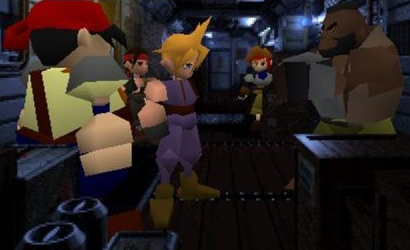 I love the very beginning of the game where Cloud leaps off a train and charges directly into a raid on a Mako reactor. What a way to start! Get the player engaged with no downtime or preamble. This is done extremely well. My second reaction, after the Mako reactor raid, was one of surprised frustration. I had forgotten how linear and scripted Midgar is. 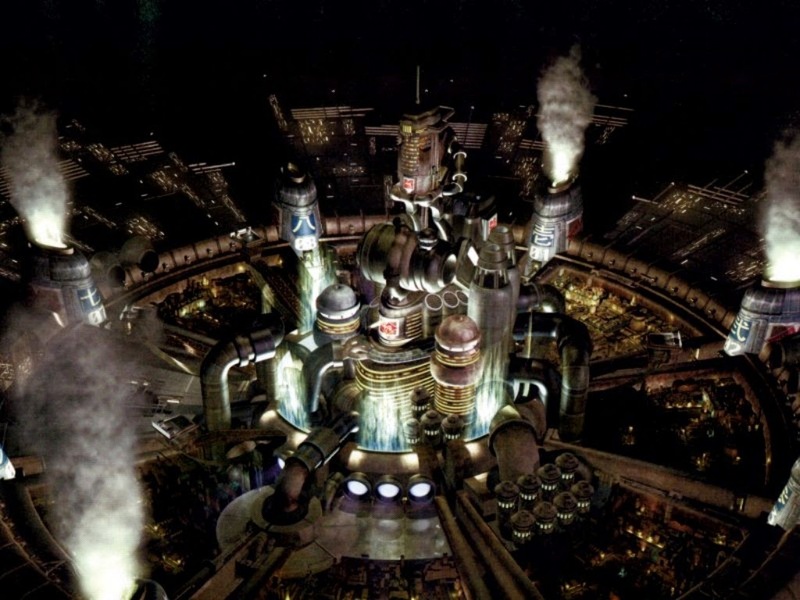 Midgar, for those who don't know, is the megacity in the world of FFVII and it's where you spend the first portion of the game. There is basically only one way forward, it's explicitly spelled out, and it's full of exposition. My god, the exposition. It's a huge info dump early in the game and it definitely hurts the pacing. Very quickly I started looking forward to leaving Midgar and getting to the open world. Unfortunately, I forgot just how long Midgar takes to play through. It's easily the first 6 hours of the game. And that's for someone who has played through it before and knows what to do. Now don't get me wrong, Midgar is an interesting setting. The energy-sucking megacity is imposing and impressive. The set pieces and backgrounds are beautiful and still hold up today. They are extremely detailed because the game has a fixed camera position, which means each background can be hand drawn with great precision. It looks great! But, essentially, it's a straight path. It actually made me think of the endless corridors of FFXIII even though it wasn't quite that linear. My other initial letdown was with the character models. In my mind's eye, with nostalgia in full-force, the characters were expressive and unique. In reality, they are blocky polygons with hooves for hands. You can barely see their eyes most of the time, much less their facial expressions. I know there are some mods out for the PC version that helps this out but since I'm playing the PS1 classic version on my Vita it doesn't help me. So, what's to like? The characters are deeper and more developed than any other Final Fantasy game up to this point. The battle system and materia system are interesting, but at this point in the game they haven't had quite enough time to become fun. The set-pieces and setting are well done and memorable. The story is epic in scope. At 8 hours in I still feel like I'm just getting to some of the main story hooks. This isn't necessarily a bad thing, it's just a change from previous games. My initial impressions with FFVII weren't great. This is basically how I felt for the first 6 hours of the game. But now I'm a few hours past Midgar and I'm having a lot more fun with the game. Expect more thoughts on that in the next post, once I've had more time to explore the open world. I gotta admit...as much as I love this game, the Midgar section does really drag. I know it exists to teach you how to play the game and to set up the story/characters. But if it had been tightened to about 1-2 hours, it would have been better. Which is a shame because the game really picks up after you leave Midgar. But I know a lot of people who were put off by the opening, and quit playing the game before they even reached Kalm.